While US tariffs currently apply to $US34 billion worth of Chinese goods coming into the US, Trump has threatened to apply tariffs to every import from China. The Trump administration on Tuesday announced a 25% tariff on $US16 billion worth of Chinese exports to the US, adding to the $US34 billion worth of Chinese goods already subject to tariffs. 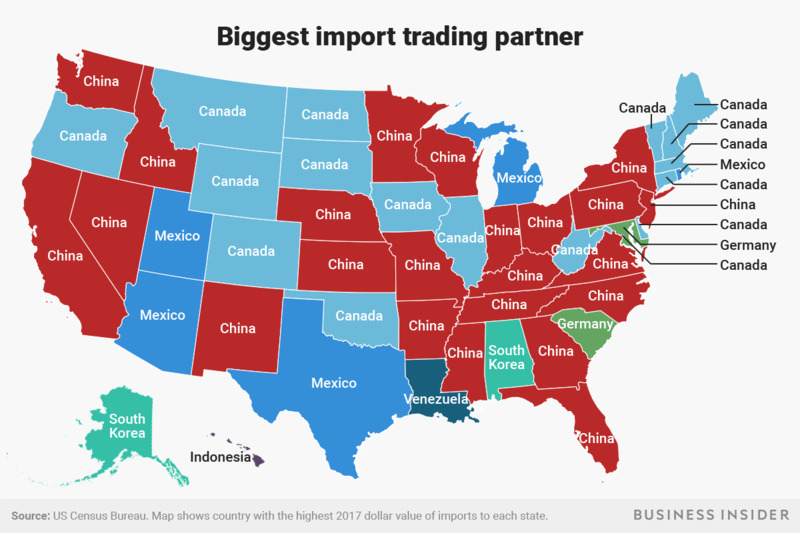 Trump has also begun to move forward with tariffs on another $US200 billion worth of Chinese goods, and he has effectively threatened that every item from the country could eventually be subject to tariffs.